World in Motion: Introducing "the least interesting man in the world"
Introducing "the least interesting man in the world"
You really can't help but laugh. Denver's Breckenridge brewery has come into the spotlight and introduced us to "the least interesting man in the world." Sound familiar? Well it should! 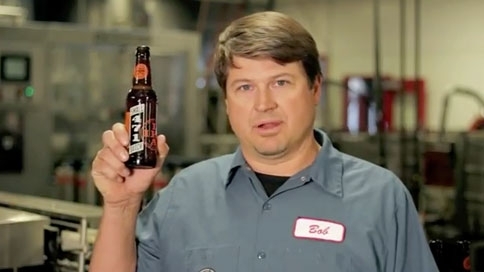 Up until now, we've seen commercials from Dos Equis, and their "Most Interesting Man in The World" but this commercial introduces us to Bob, who claims that "[he] always drink beer. And when [he] do[es], [he] prefer[s] good beer." Hands down, a pretty clever concept. They even went and poked fun at Corona's beach commercials, you know, the ones with the two people on the beach? Well, instead of enjoying a beer on the beech, our friend Bob has the beach on his TV. Turns out that Bob doesn't really care about the beach, and wants to enjoy his beer over some football. There is certainly no denying that Bob is "the least interesting man in the world" but I mean who are we catering this too? Lazy college kids? Do we not want to be interesting? Do we just want to be original? That's where I think this spot fails, and Dos Equis and Corona win. Whether or not they are actually good tasting beers, Dos Equis and Corona are much more appealing based on their commercials alone. Come on, really? I think we would all rather be the most interesting man in the world.